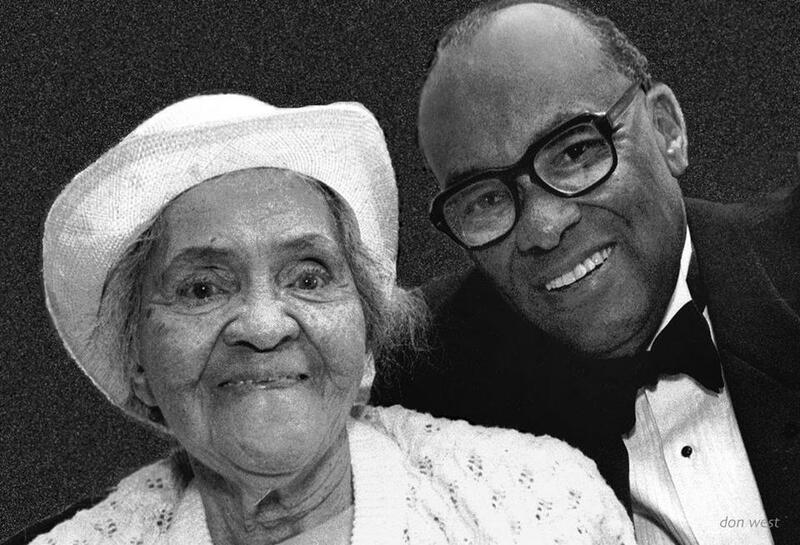 Hubie Jones, Dean, Boston University Social Work from 1977 to 1993, pictured with his mother, Dorcas, at his retirement party. Covering his congressional campaign for the Globe in 1986, I sensed some white voters in Boston, Cambridge, and Watertown feared Mel King. He was this towering, dark-skinned, bearded black man with a shaved head long before it was fashionable. His occasional gruffness, even with me, a younger African-American who harbored no racial stereotypes, probably contributed to his being perceived as an angry black man. Two years ago, I interviewed the octogenarian King about the meaning of his long life, nearly all of it spent in Boston and, more specifically, living in the South End. He has been an activist, state legislator, two-time mayoral candidate, and the director of the local Urban League, MIT’s Community Fellows program, and a neighborhood tech center. I asked King what has motivated him to take on those public-spirited roles. His one-word answer should surprise anyone who, dismissing his multiracial Rainbow Coalition for mayor in 1983 as a political tactic, still thinks of him as an apostle of Black Power. “Love,” he replied. King explained he meant love for all people. He went on at some length in that vein, though not in neat sound bites. I thought he might break out, sixties-style, singing verses of “Kumbaya, My Lord” in the stairway landing at the South End Tech Center he runs. King was among the first of more than 60 people, mostly African-Americans but also their allies of every race, I interviewed for a photography book published late last year, “Portraits of Purpose: A Tribute to Leadership.” My coauthor, photographer Don West, chose the pictures of the 127 people included. 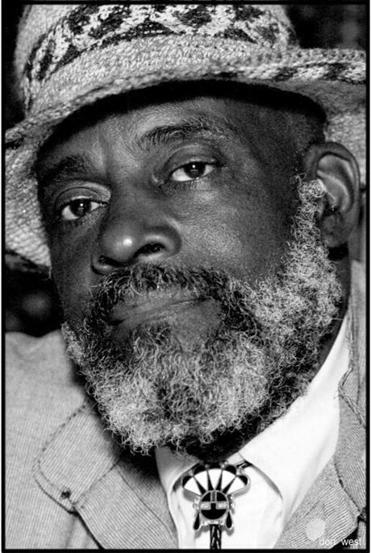 He judged them all to be agents of social change in Boston since 1980. Mel King, Boston Mayoral finalist in 1983 and state representative from 1973 to 1982. West decided to put King’s photo and profile first. King had a large impact, on the anti-apartheid movement as a state representative and, as a losing mayoral finalist, on city governance under Ray Flynn and on national politics, namely, the National Rainbow Coalition that Jesse Jackson unabashedly borrowed for his presidential campaigns in the eighties. King also has longstanding relationships, as a mentor and collaborator, with many of the change agents in the book. Minister Don Muhammad, longtime leader of the Nation of Islam in Boston, expressed his commitment to dual life purposes, neither explicitly religious. “I’ll give all that I have to help my people and humanity,” he said. The social change most evident in the city since 1980 is the shift from racial tension and hostility to an era of interracial peace, amity even. King played an important role. As mayor, Flynn, adopted King’s campaign agenda of inclusiveness and appointed African-Americans to top positions in city government, including Doris Bunte as head of the Boston Housing Authority. She helped Flynn manage the desegregation of housing projects in South Boston, a big change accompanied by conflict. Bunte comes fourth in the book. Flynn also supported the linkage policy, part of King’s campaign platform, which requires downtown developers to contribute to affordable housing in the neighborhoods — any of them. Flynn’s successor, the late Tom Menino, solidified the social change that Flynn ushered in. Menino moved the city from doing something new and different, that is, diverse individuals getting along, to making that the normal way of existing. In my interview with him late in 2013, Menino used the same word he invoked in office to describe sporadic acts of racial violence or disrespect — “nonsense.” They were not only out of bounds of the law, they were beyond reason, not to be tolerated. Menino’s consistency on this issue was remarkable for a politician. In 1994, early in his tenure, he told the Globe’s Adrian Walker: “If I haven’t done one thing when I leave office, I hope I can say I’ve helped us learn to live together as a city.” In 2012, Menino told The New York Times the same thing, declaring “bringing racial harmony to the city” his top priority. As I left his City Hall office, I turned to Menino and complimented him on achieving that goal. He was an ally of the city’s people of color, yes, but he also was an ally of all its residents. He liked people and respected them as individuals. That is the kind of leadership the city deserves from all its elected officials. Charles R. Stith, founding director of African Presidential Research Center; US Ambassador to Tanzania, 1998 to 2001. As much as social relations have improved, more needs to be done before Boston truly becomes “a wholesome society” or “the beloved community.” The city’s population has shifted from a white majority to a majority of color, but political power has not followed that demographic transition. Income inequality here still has a pronounced racial-ethnic dimension. 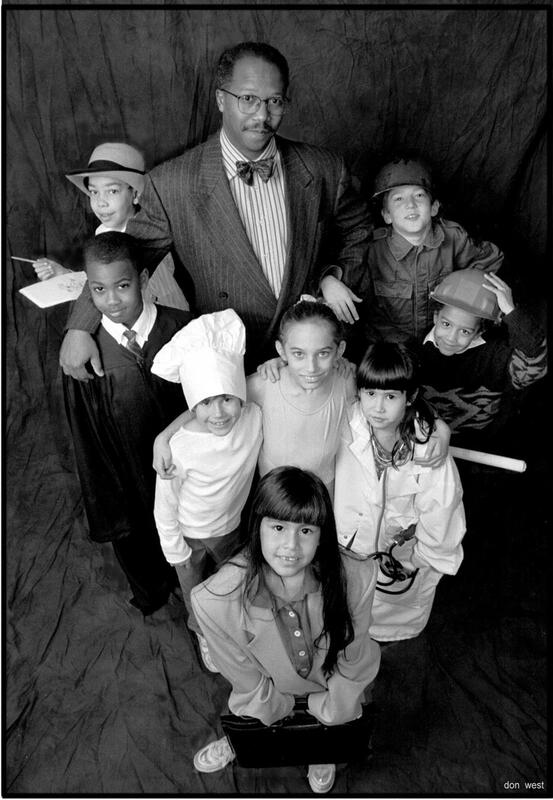 “Portraits of Purpose” contains West’s photograph of the four city councilors of color, as of 2013: at-large members Ayanna Pressley and Felix G. Arroyo, and district members Tito Jackson and Charles Yancey. Michelle Wu has since replaced Arroyo. For the last decade, half of the four at-large councilors have been of color, rough parity with the population. But representation among district councilors has been stuck at two since the current structure was adopted 30 years ago. The map of council districts is partly to blame, even after the changes that councilors of color, Boston NAACP leaders, and others negotiated in 2012. Four to five district councilors of color, out of nine, would be parity. Still more changes in the map are needed, but those are not likely to come until after the 2020 Census. In the meantime, targeted voter education and registration campaigns would increase civic engagement in immigrant communities of color. Those two steps would enhance the chances of candidates of color in two or three more districts. The ones in Hyde Park-Roslindale, South Boston-South End, and east Dorchester are top targets. 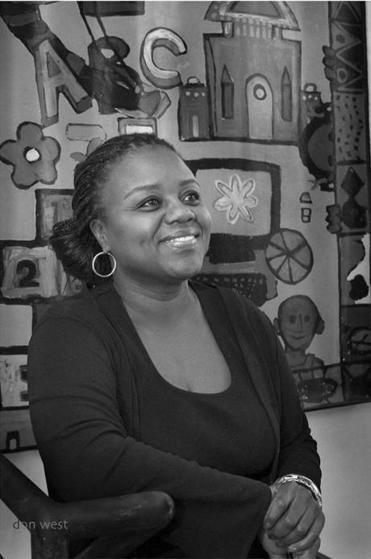 Marie St. Fleur, Boston Director of Intergovernmental Relations, 2010 to 2013; State Representative, 1999 to 2010. My interviews and research for three profiles bearing on one neighborhood, Grove Hall, straddling Dorchester and Roxbury, illustrate the city’s continuing challenge of undoing structural income inequality along racial-ethnic lines. In the mid-sixties, a young Hubie Jones joined the Roxbury Multi-Service Center as deputy director, then director. It had a wide service area, but set up shop in Grove Hall and focused its efforts there because it was the neighborhood with the greatest need. The Roxbury Multi-Service Center made some progress addressing problems in the poor neighborhood; some of the advances had an impact far beyond Grove Hall. Under Jones, for example, researchers documented wanton expulsions of black students from Boston schools, leading to state and federal laws guaranteeing an appropriate education to children of school age with special needs. In the seventies, three entrepreneurial brothers, Kenneth, George, and Cecil Guscott, established a company to build housing. Like the multi-service center, the Guscotts initially concentrated on Grove Hall, near where they grew up. Residential and commercial buildings that their Long Bay Management developed still dot the neighborhood. The local Nation of Islam invested in the neighborhood in the eighties, moving its mosque into a former funeral home in the heart of Grove Hall. In the nineties, Muhammad, the mosque’s leader, mobilized the black community and worked with the Boston Police to stem the crack-cocaine epidemic in the area. He also persuaded Flynn to extend a federal empowerment zone to Blue Hill Avenue, enabling funding for the Mecca Mall that opened there in 2001. The Roxbury Multi-Service Center, Long Bay Management, and Nation of Islam all contributed to improving life in Grove Hall. Surely, socioeconomic conditions there would be worse without their efforts. Still, the neighborhood remains beset by poverty, crime, and family instability. The needs are so apparent that at the start of this decade philanthropist Ken Nickerson targeted Grove Hall with his well-meaning charity, Boston Rising, which had to scale back its multi-million initiative in 2012. Inequality also afflicts other city neighborhoods where residents of color predominate. The serial efforts in Grove Hall over a half century show just how stubborn and structural the problem is. This is a city and region where creative, brilliant minds have come up with advances in science, medicine, technology, law, and social policy. We’ve got the brain power. So the question becomes: Is there the will to solve this enduring inequity? Some people may think reaching such political parity and racial-ethnic income equality would benefit only Boston’s black, Latino, and Asian residents. But we live in a state that calls itself a commonwealth. We are supposed to look out for one another. That’s a matter of shared values. There are broader, pragmatic reasons as well for striving to reach these goals. They are not just about the groups’ self-interest. Something approaching political parity will bring more and diverse people into the civic square, where we solve our problems as a city. Higher incomes and property values, and greater family stability, will strengthen the city, its government’s finances, and the local economy. Sixty years ago, a young Baptist preacher named Martin Luther King Jr. led a boycott of public buses in Montgomery, Ala. Superficially, the protest was about securing the civil rights of black riders, who had to sit at the back of public buses and yield forward seats to white passengers, even if that meant standing up. After the year-long boycott succeeded, King made it clear he instead saw the outcome in universal, humanistic terms. So too would be completing the city’s undone work on racial-ethnic inequality. Kenneth J. Cooper, a former Globe staffer, is a Pulitzer Prize-winning journalist and freelance writer in Boston. He edits the Trotter Review at UMass Boston. He can be reached by email at kenjcooper@gmail.com.